ช่วยแนะนำ ที่ใหน ขายดัมเบล แบบปรับน้ำหนักได้ และแนะนำหน่อยสิครับรุ่นใหนดี? 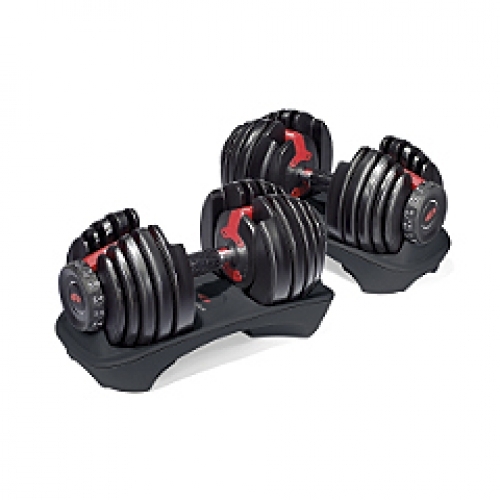 BOWFLEX SELECTTECH DUMBBELLS สุดยอด Dumbbell ระดับโลก ที่ได้รับการออกแบบพัฒนาจากทีมงานผู้ชำนาญจากอเมริกา อย่างเป็นเอกลักษณ์เฉพาะตัวสามารถใช้ทดแทน Dumbbell ปกติทั่วไปเทียบได้กับ Dumbbell กว่า 30 อัน ด้วยระบบกลไกการปรับเปลี่ยนน้ำหนัก ได้ตั้งแต่ 2-21 Kg. With just the turn of a dial you can automatically change your resistance from 5 lbs (2.27 kg) all the way up to 52.5 lbs (23.8 kg) of weight. 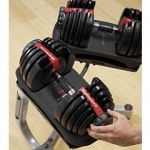 No more picking up 30 different dumbbells to give you the results you want! 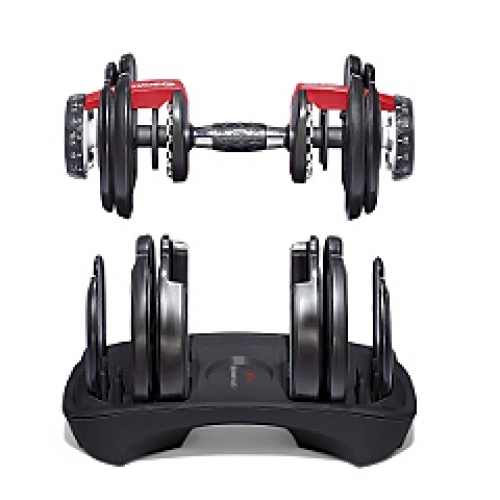 All you need are two Bowflex® SelectTech® 552 Dumbbells to transform your body for good. Build fat-burning muscle fast. You'll have all the weights you need in one set of Bowflex® SelectTech® 552 Dumbbells. Adjust in 2.5 lb (1.13 kg) increments (up to the first 25 lbs) (11.3 kg) so you can gradually increase your strength without bulking up. New 2009 model features enhanced plate technology that ensures the plates go back into the base in the correct direction, which keeps your workout going smoothly. Special Bonus: FREE Bowflex® SelectTech® workout DVD - "Secrets of the 4 Step Rep" - with every purchase. Get the most out of your workout - work smarter, not harder. Over 30 exercises with over 80 variations. การปรับหน้ำหนัก (ปอนด์.) 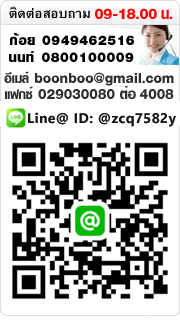 5, 7.5, 10, 12.5, 15, 17.5, 20, 22.5, 25, 30, 35, 40, 45, 50, และ 52.5 ปอนด์. 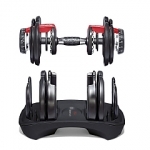 Bowflex SelectTech 1090 Dumbbells เซ็ตคู่ + stand.